Power Email accounts can be purchased as stand-alone accounts that can be added to our hosting or just by themselves with no hosting. This is a business-class, reliable mail service with plenty of space if you use webmail or IMAP where the mail is stored indefinitely on the email server. 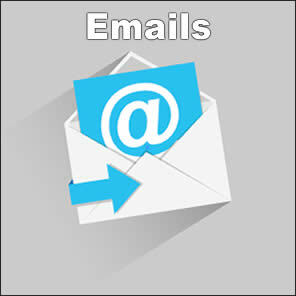 Ask about adding email aliases if needed. Annual fee: $24 per mailbox per year. Inquire about discounts available if you need to order more than 10 mailboxes. Applicable taxes are applied at checkout.